The talk was bold for a couple of reasons. 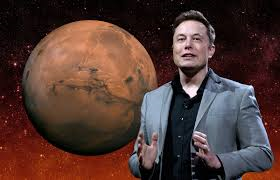 First, the plan itself is ambitious — Musk hopes to fly 1 million people to the red planet as a sort of "backup drive" for Earth at cost of $100,000 to $200,000 per person. Second, he delivered the presentation weeks after a SpaceX rocket blew up on a launchpad. Now Musk has written a new paper that outlines the most recent version of his Mars vision. Published in the June issue of the academic journal New Space, the article appears to be an edited summary of Musk's September talk. (A full transcript of that, along with Musk's slide deck, is available here.) In the text, Musk describes his argument for reusing rockets to reduce the cost of spaceflight thousandfold. The paper also includes descriptions of early designs of the enormous spacecraft he hopes to build.